​take a four-hour ride through the Moroccan countryside. 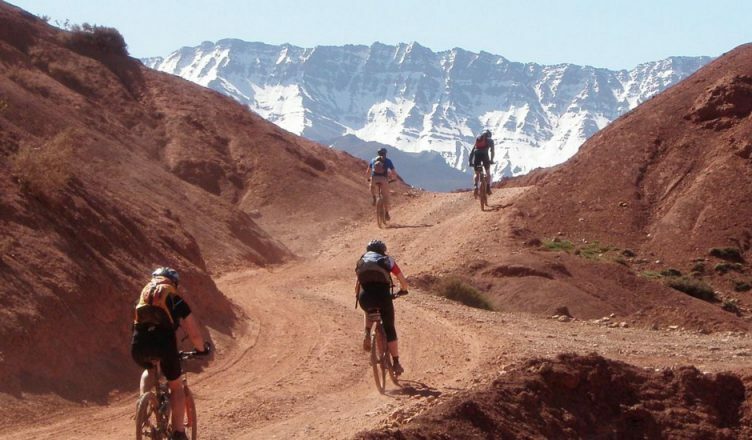 on this day trip from marrakech you will cycle through berber villages,with the Atlas Mountains as backdrop. Don’t be surprised if along the way you pass children on mules,shepherds with their flocks of sheep or grazing goats, It’s the life up here, And we invite you to witness it first hand on a cycling trip through the Moroccan countryside . stop in a berber house to enjoy a traditional mint thé before returning to Marrakech early afternoon.